2017-03-09T21:59:57.543344Z production-site-lb 54.182.214.11:6658 172.31.62.236:80 0.000049 0.268097 0.000041 200 200 0 20996 "GET https://logz.io:80/blog/kibana-visualizations/ HTTP/1.1" "Amazon CloudFront"
AWS allows you to ship ELB logs into an S3 bucket, and from there you can ingest them using any platform you choose. 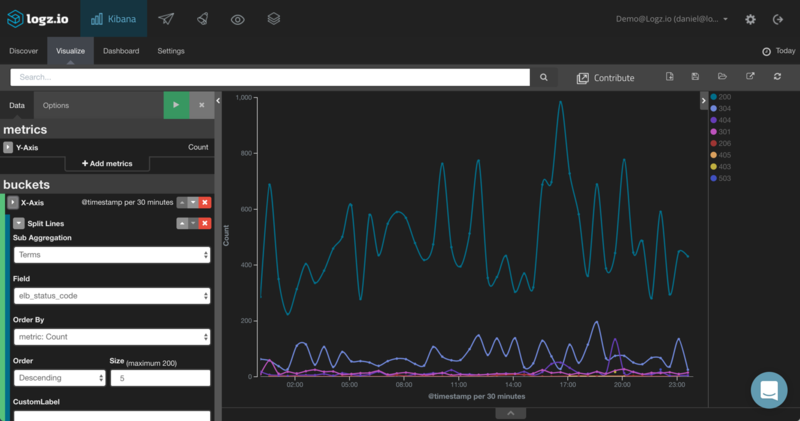 This article describes how to use the ELK Stack (Elasticsearch, Logstash and Kibana) to index, parse, and visualize the data logged by your ELB instances. 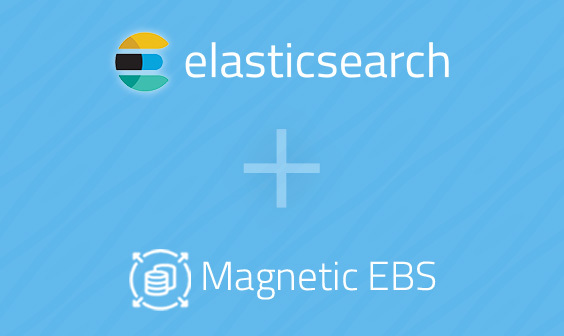 By default, ELB logging is turned off — so your first step is to enable logging. 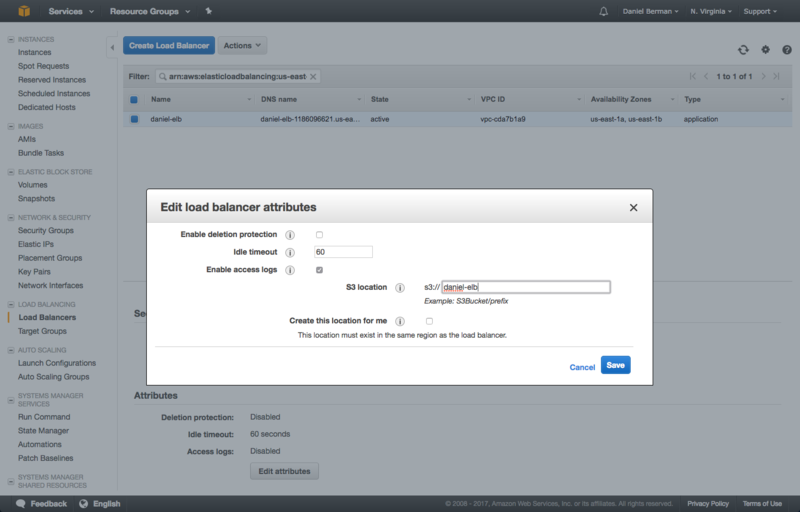 Then, in the EC2 console, open the Load Balancers page and select your load balancer from the list. If the logging pipeline is setup correctly, you should see a test log file in the bucket after a few minutes. The access logs themselves take a while longer to be sent into the bucket. Once in S3, there are a number of ways to get the data into the ELK Stack. 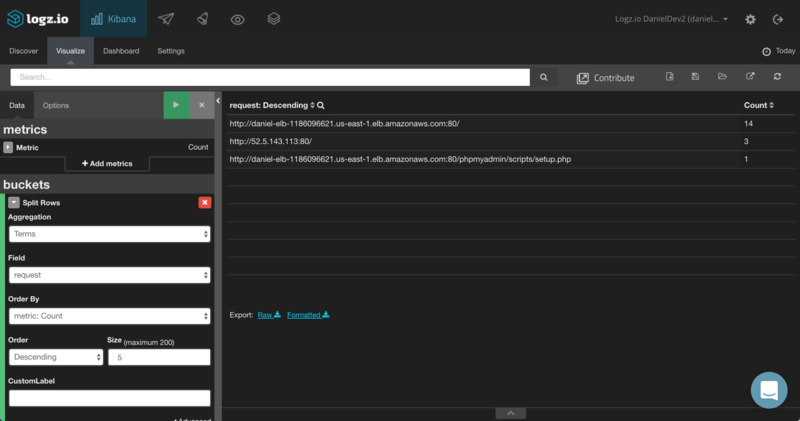 If you are using Logz.io, you can ingest the data directly from the S3 bucket, and parsing will be applied automatically before the data is indexed by Elasticsearch. If you are using your own ELK deployment, you can use a variety of different shipping methods to get Logstash to pull and enhance the logs. 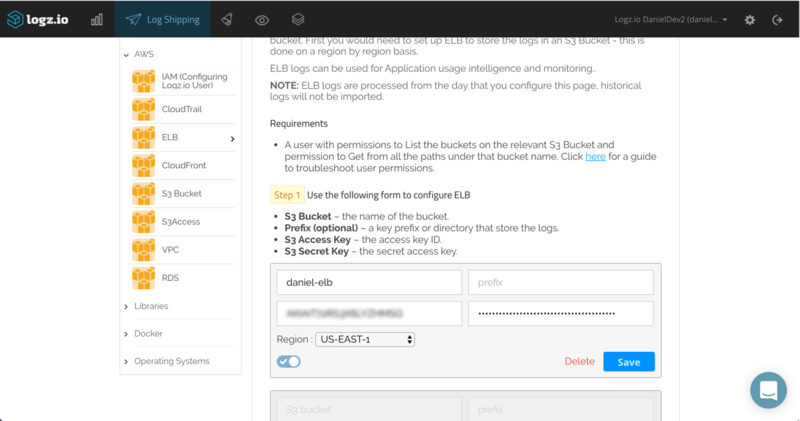 All you have to do to get the ELB logs shipped from S3 into the Logz.io ELK Stack is configure the S3 bucket in which the logs will be stored in the Logz.io UI. Before you do so, make sure the bucket has the correct ListBucket and GetObject policies as described here. Under Log Shipping, open the AWS → ELB tab. Enter the name of the S3 bucket together with the IAM user credentials (access key and secret key). 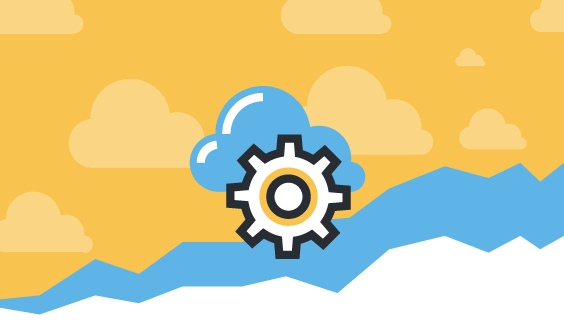 Select the AWS region and click Save. As mentioned above, there are a number of ways to ship your ELB logs from the S3 bucket if you are using your own ELK deployment. 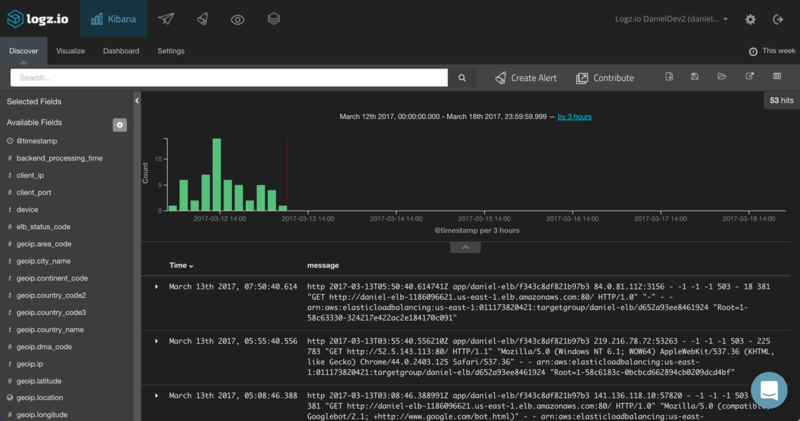 Whatever method you used to pull the ELB logs from S3 into your ELK, the result is the same. 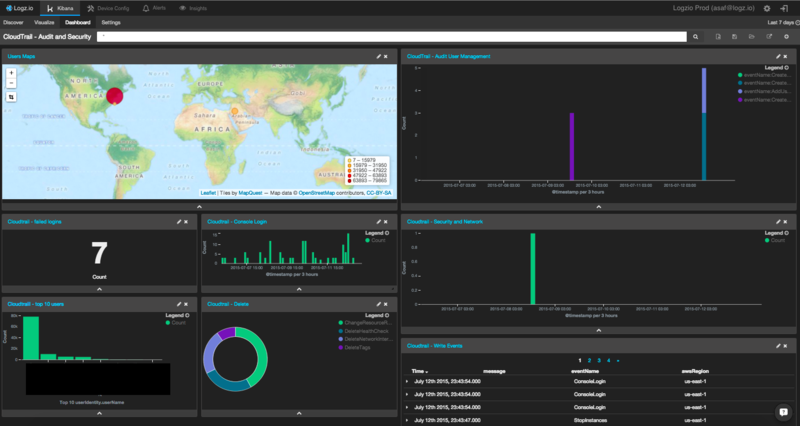 You can now use Kibana to analyze the logs and create a dashboard to monitor traffic. ELB logs are similar to web server logs. They contain data about each request processed by your load balancer. Below are a few examples on what metrics or information can be monitored with visualizations. A useful metric to monitor is the rate of error response codes reported by our load balancer. To do this, I’m going to choose the Line Chart visualization. As our Y axis, we can leave the default Count aggregation. As the X axis, we are going to use both a date histogram and a split line using the elb_status_code field. 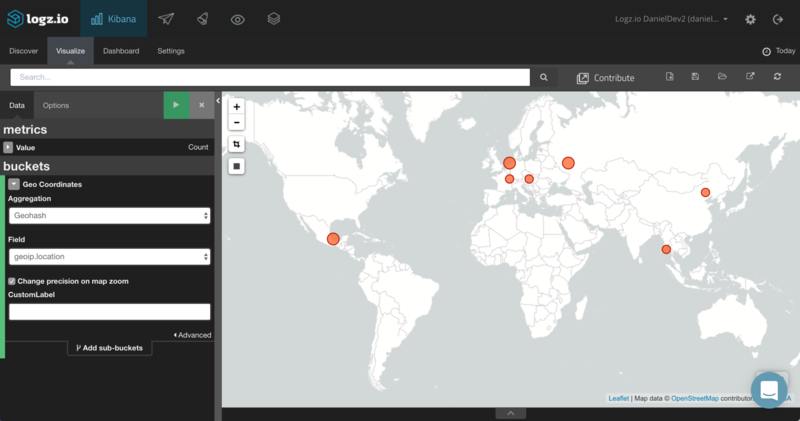 We can see a geographical depiction of the clients sending the requests being processed by our ELB instance. To do this, we will choose the Tile map visualization and use the geoip.location field we added as part of our Logstash configuration. Using an Area Chart visualization, we can get a good picture on the incoming versus outgoing traffic using the sent_bytes and received_bytes metrics. The X axis (not shown in the image below) is a time histogram. 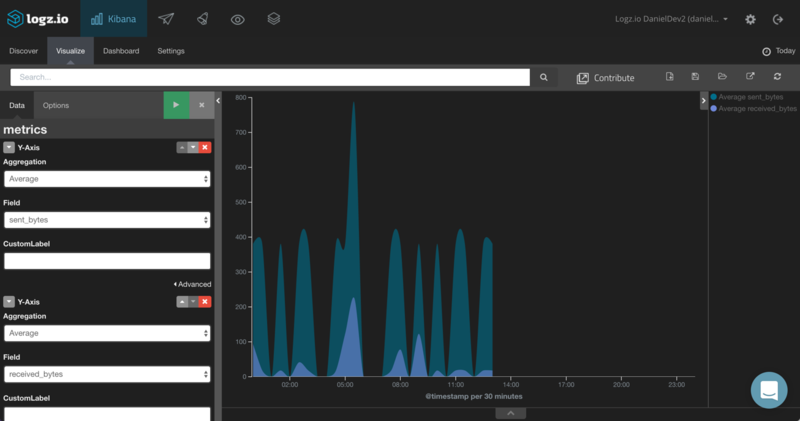 Using a Data Table visualization, you can see a list of all the requests (using the request field) being processed by your load balancer. You could also enhance this table further by adding the average processing time for both the requests and the responses. Whether for statistical analysis, diagnostics, or troubleshooting — ELB logs are a valuable resource to have on your side. But it is being able to aggregate and analyze them with ELK that really allows you to benefit from the data. The visualization examples above were simple demonstrations of how to analyze your ELB logs, but you can slice and dice the data in any way you want. 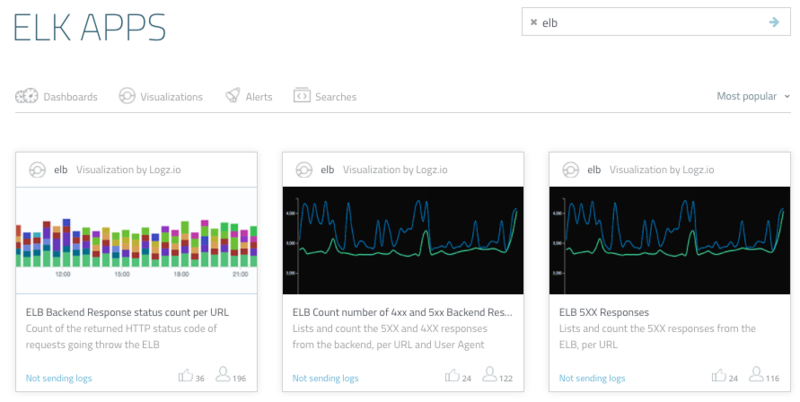 By adding all these visualizations into one comprehensive dashboard, you can equip yourself with a very useful monitoring tool for your ELB instances.